Headspace is a national mental health initiative for young Australians. There are over 100 centres across Australia of which 24 are in Victoria. Headspace deals with four many different areas including mental health, physical health, work and study support and alcohol and other drug addiction support. As part of a design unit at Deakin, groups of students created design work for local non-profit organisations. 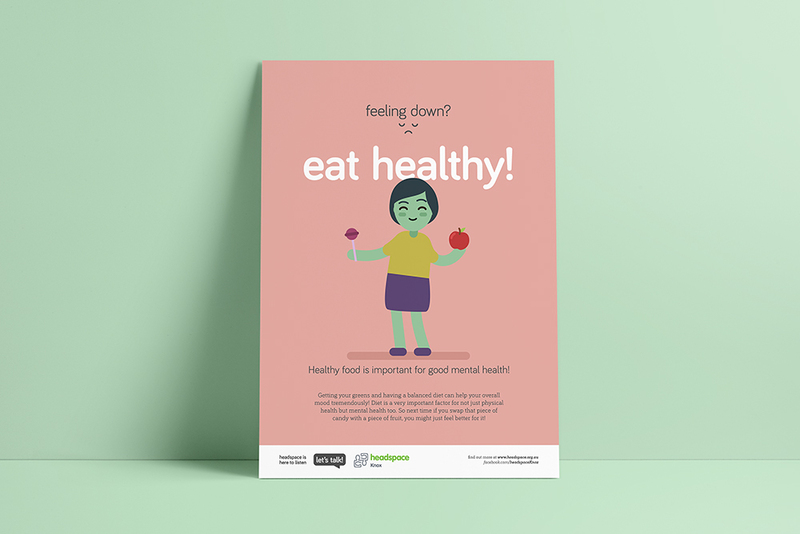 I worked with three other design students to come up with a concept to promote Headspace and raise awareness for good mental health. For the campaign we created an animated video, posters, flyers, looping videos for social media, and a 360° panorama illustration which works with the Facebook platform. As a group we worked on concept, storyboard, script and visual style together. 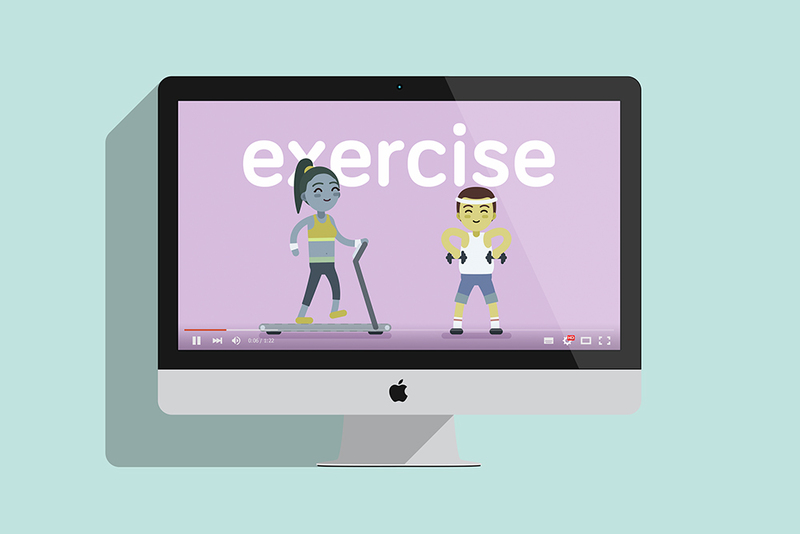 I created each of the characters as vectors in Illustrator and then animated with motion graphics in After Effects. I also used Photoshop to create the 360° panorama illustration. 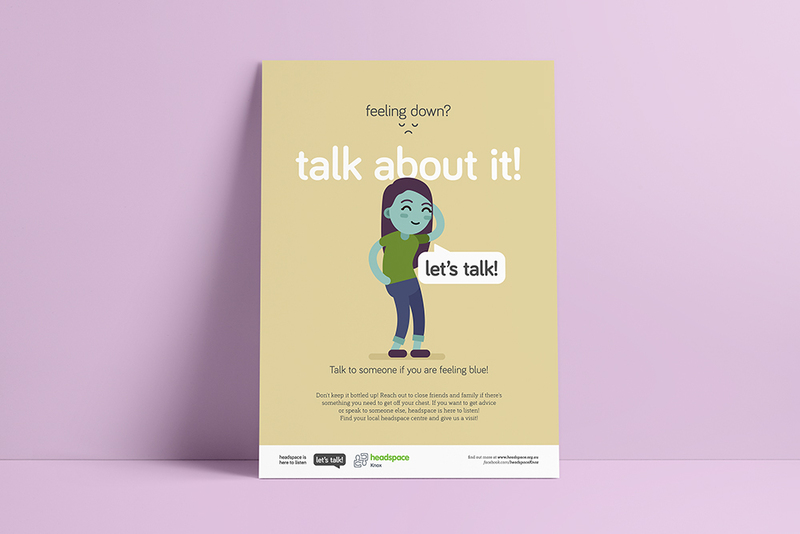 The main audience for this campaign is young people aged 12 – 25, which is the ages that headspace deals with. 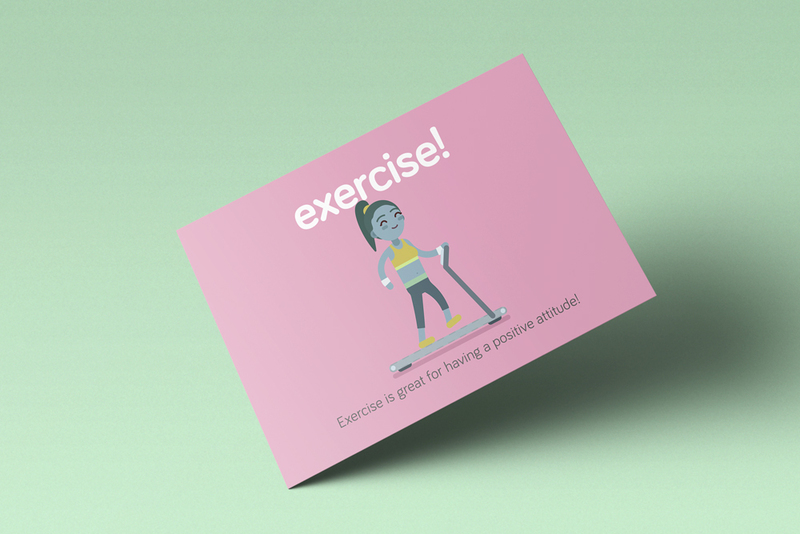 The campaign needed to appeal to young teens as well as young adults so we decided that using a colourful pastel palette would have a delightful aesthetic. Another choice we made was to use lower case headings and titles for a more comfortable tone. The series of posters and flyers were designed by another student which I then revised by making a few minor changes which included slightly overlapping the top of each character over the titles, adding more info to the footer, and using a serif version of the font for the body text. Another student organised a photo shoot with people holding the 'let's talk!' speech bubble and also had the idea to have cut-out 'let's talk!' speech bubbles for people to post on Instagram with the hashtag #headspace #letstalk. The voice-over was organised by another student who did several takes of the script we wrote which I used to reference timing while animating. This student also composed the background music and I recorded the sound effects myself for the animated video. An exhibition night was held at Deakin display the work by each group from the unit. Along with a few others, our group was awarded 'Best Design' for our campaign concept and we each received trophies from the university.